There's something magical about being in the ocean. It's a wild experience that soothes at the same time. 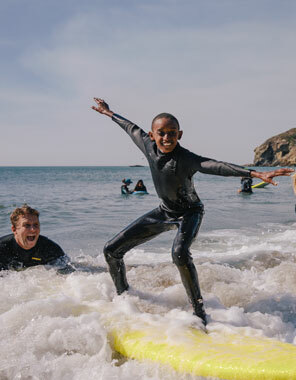 That's why surfers from San Francisco's MeWater Foundation take kids from tough neighborhoods to the beach and teach them to surf—creating "positive magical moments" along the way. 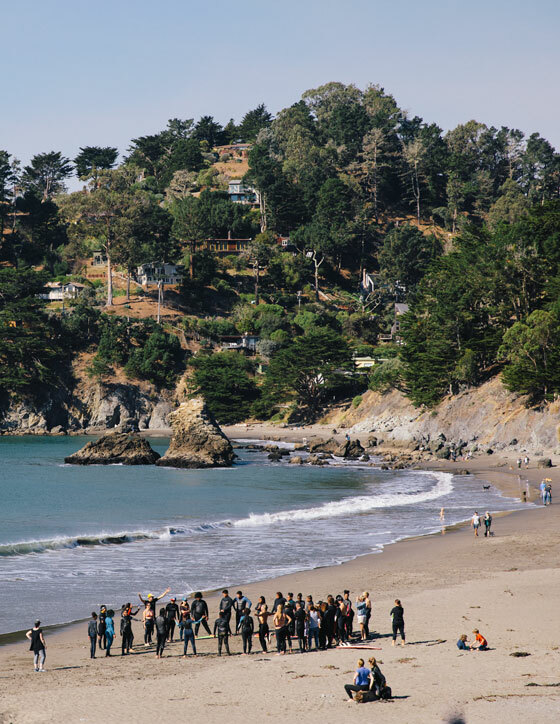 On a recent Saturday at Muir Beach in Marin County, California, the sky was clear, the sun was warm, the waves were crashing, and the wetsuits were piled high in the parking lot. 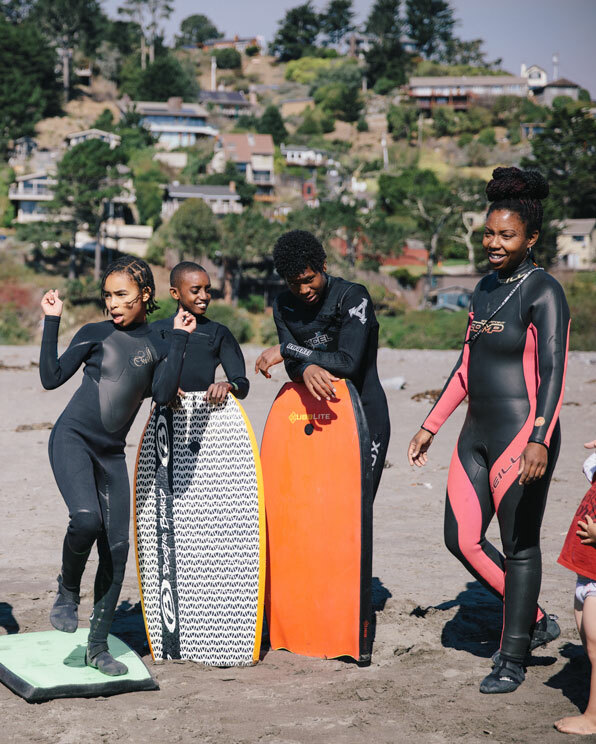 Surfers greeted each other with high fives and hugs as they sorted donated wetsuits into neoprene stacks of small, medium, extra-large. In the center of the good-natured chaos stood MeWater founder Eddie Donnellan, tossing out greetings, directions, and surf booties as he waited for two white vans to roll into the lot. Eddie, a San Francisco native, lifelong surfer, and dedicated mental health professional, was the impetus for this gathering. But the volunteers weren’t really there for him. They were waiting for the kids. And as the vans pulled in, windows down, 2 Chainz blaring, everyone in the parking lot was grinning from ear to ear. “What’s happening is I’m about to go shred the gnar, bro!” said 11-year-old Jaylin, jumping from the van with a shaka sign waggling. Magical Mother Nature has had her way with both Eddie and Tim, shaping both of their lives from an early age. Tim grew up in the tide pools of Northern California, skin diving and fishing with his family. Naturally, it led to surfing. “We all wanted to be like Evil Knievel, we all wanted to ride and crash,” Tim recalled. 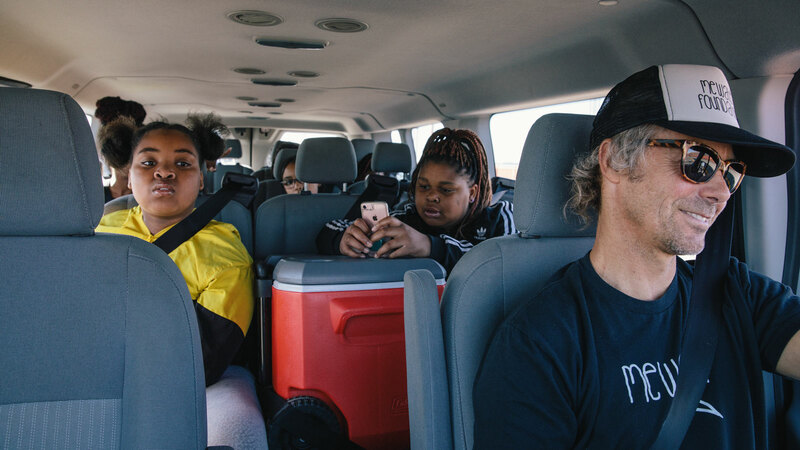 Co-founder Tim Gras drives a van full of MeWater kids to the beach. The ocean brought Tim and Eddie together, as well. 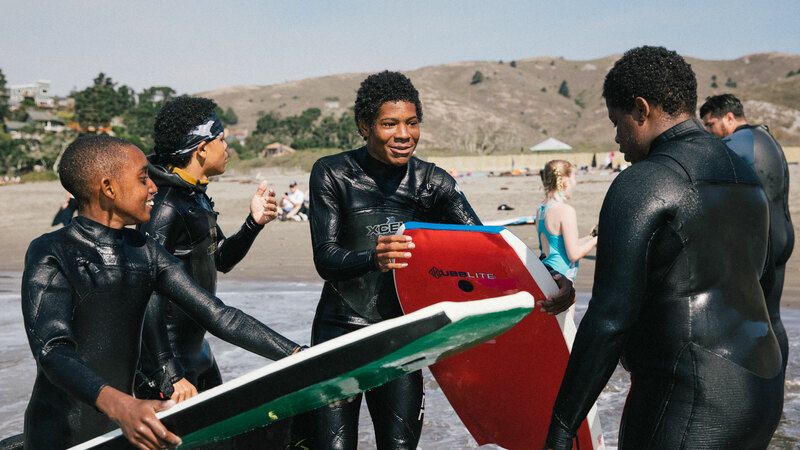 As young surfers in San Francisco in an era when the sport wasn’t nearly as popular as it is today, they saw a lot of each other in the water and ended up becoming friends. “My upbringing was challenging—my mom was a single mom, and that lack of a father figure brought out a certain rebellion in me,” Eddie recalled. Early in the am, co-founder Eddie Donnellan gets ready for a MeWater day. Later in life, Eddie began helping troubled youth at Edgewood Center for Children and Families in San Francisco. Edgewood provides treatment and prevention programs that help children and youth struggling with mental illness and debilitating behavioral issues. He’s been at Edgewood now for 20 years, and attributes his passion for helping people to his mother, an ESL teacher. 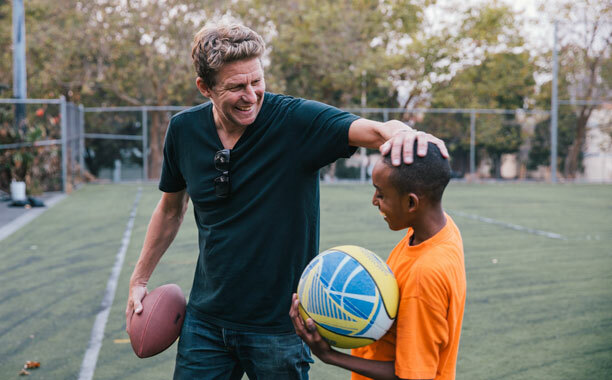 Tim joined the staff at Edgewood 15 years ago and has worked wonders with kids and families in some of San Francisco’s toughest neighborhoods. That’s where surfing comes in. 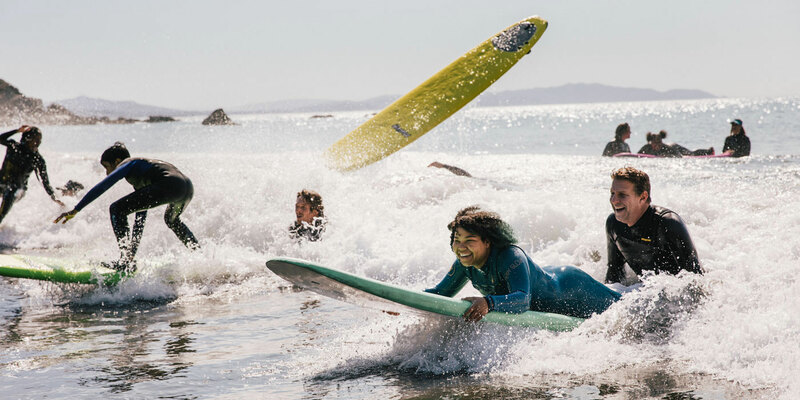 Tim was the first to start taking kids surfing, driving kids from Edgewood two hours down the coast to Santa Cruz to take part in the Ride A Wave program once or twice a year. Eddie was the one who tackled all the non-profit paperwork in 2015 to create MeWater so they could bring more kids to the ocean more often. Although both Eddie and Tim orchestrate MeWater surf days in their spare time right now, they both dream of it becoming a full-time gig. They believe in the power of the water to change these kids’ lives—or, at the very least, to make their lives better—even just for one day. 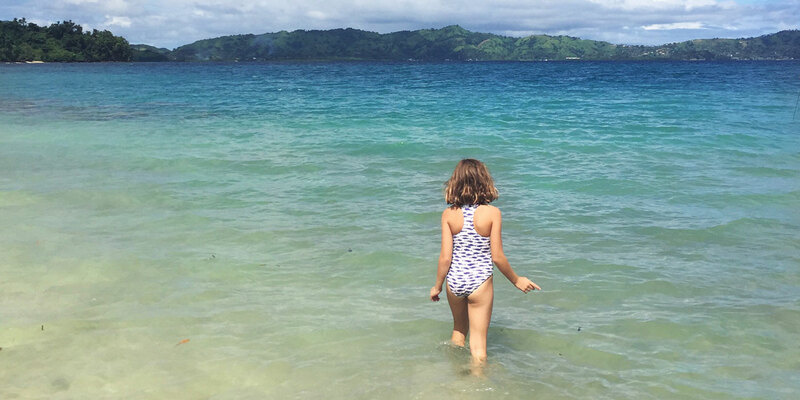 For most of these kids, the first time they head out with MeWater is also the first time they’ve ever been to the beach, seen the ocean, splashed in the surf. Most of them don’t know how to swim. But the goal is not to turn them into surfers. It’s simply to give them an empowering, inspiring, joyful new experience. Brianna, 10, on a surfboard for the very first time. 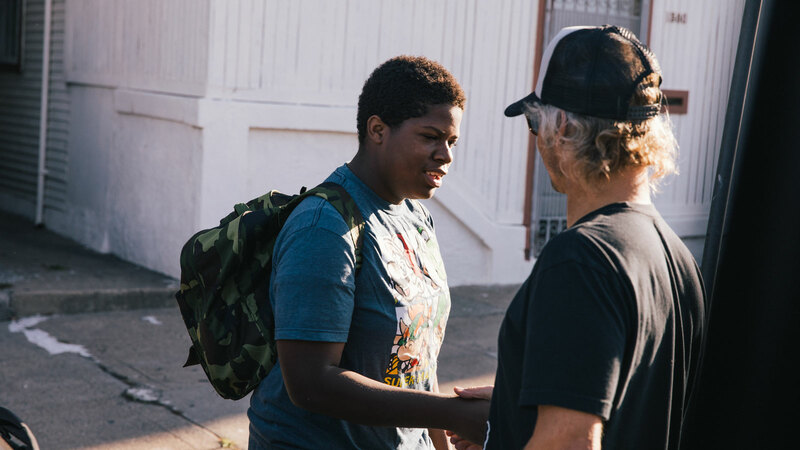 Having worked with many of these youth on their home turf, Tim said there’s a huge contrast between kids in their neighborhoods and the same kids once they’re out in the water. 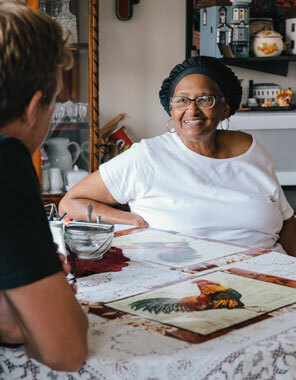 Eddie met Shirley and Anthony three years ago through Edgewood’s Kinship program, which provides services and support to relatives who are caregivers. Shirley, 69, has raised Anthony since he was six months old. The hardest part of raising her grandchild, she said, is that she can’t get around the way she would like to. She had a stroke not too long ago, and lost her husband this past January. She hates to miss out on Anthony’s sports and activities. But she stays as involved as possible. 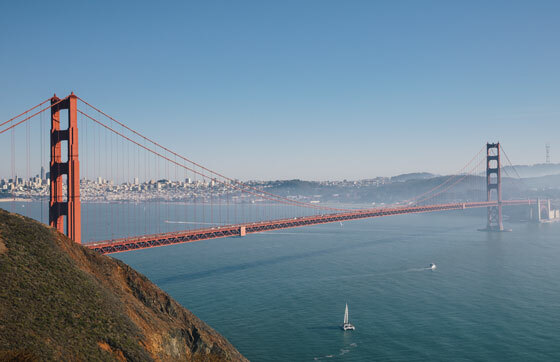 Sitting at her kitchen table in San Francisco on a recent Friday afternoon, dinner bubbling in a pot on the stove behind her, Shirley smiled as her cell phone began to buzz. Anthony was calling. He had just gotten out of school and was hopping on the train to come home. I like the way he talks, the way he treats me. He treats me like I’m somebody. Shirley and Anthony share a dream of him attending college after he graduates. Dr. Martin Luther King, Jr. and President Obama are his heroes—immortalized in posters on his bedroom wall—he used them both for inspiration in a speech he gave for Black History Month earlier this year. The first time Anthony went to the beach with MeWater, he was nine, and he was afraid of the water. He didn’t know how to swim. But Eddie was with him, telling him the water wasn't deep, and if he fell down, all he had to do was stand up. MeWater—and “Mr. Eddie”—have become a fixture in Anthony and Shirley’s lives. And surfing is just a small part of it. Shirley calls on Eddie to have man-to-man talks with Anthony—about homework, about respect, about his friends. "You can just...be free in the water." Anthony was there at Muir Beach for MeWater’s most recent surfing outing, a grin taking over his entire face as Eddie pushed him into a wave and he popped up to his feet, arms flung out like wings. At least 25 kids came out for the MeWater day, catching rides in vans from the city. Their ages range widely—Eddie said the youngest kid they've taken surfing was 5, and the oldest—well, they don't turn anyone down. "We drive around the projects in a van with surfboards on top and it sparks curiosity," Eddie explained. "People come up to us and say, 'What are you doing?!' And we say, 'Hey, we're taking kids surfing! You got any kids?' We've had whole families get in the van and come out to the beach for the day." 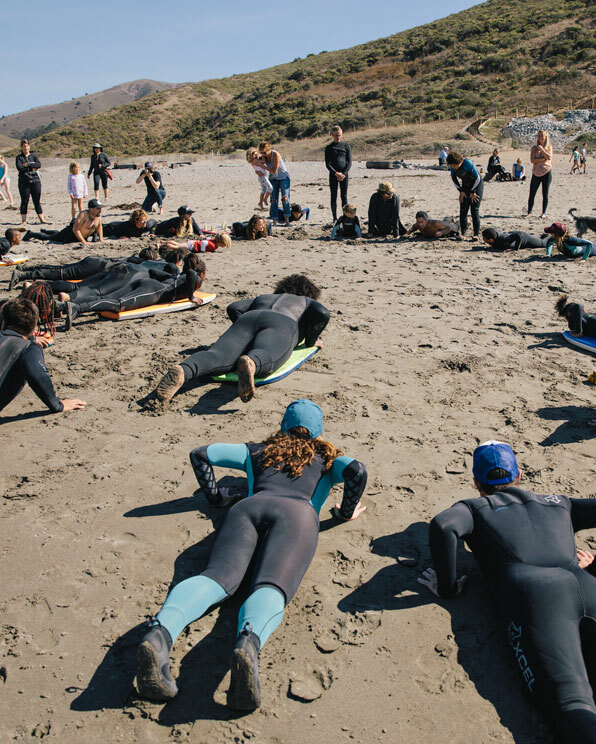 After surf volunteers helped MeWater kids shimmy into wetsuits ("You've got to jam your leg in there, man. Get ready to jam it!" was Eddie's advice to Jaylin), they all grabbed boards and headed to the beach. Most were in the water within seconds, shrieking with laughter as they flung themselves into the surf. Tim pulled them all out a few minutes later for essential surf safety instruction, gathering kids and volunteers alike into a large circle on the sand. Introductions were the first order of business—name and signature dance move, please. Then Eddie taught all would-be surfers hand signals for "I'm OK!" (hands on top of their heads) and "I'm not OK, I want help!" (arms stretched to the sky and waving). Lillianna, 13, loves mermaids and surfing with MeWater. Everyone got a crash course in paddling, popping up, and, most importantly, falling off their board: "If you fall down in the bathtub, you just stand up, right?" Tim asked. "Same thing here. You fall down, just stand back up!" 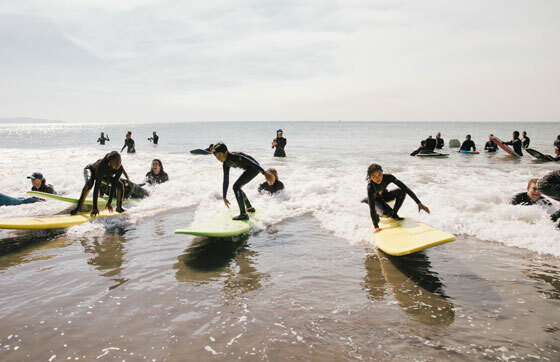 And then they were turned loose on the waves, wetsuit-clad volunteers like Amber Sanford wading in beside them to steady their boards and holler encouragement. Eddie said Amber is a "power volunteer" who's been at every single MeWater event, and is usually the last one out of the water at the end of the day. "I'm a firm believer that the water helps people. Whatever state of mind you're in, you get in the water and you forget your worries," Amber explained. "So anytime kids can get out in nature and get in the water, I'm happy to help." 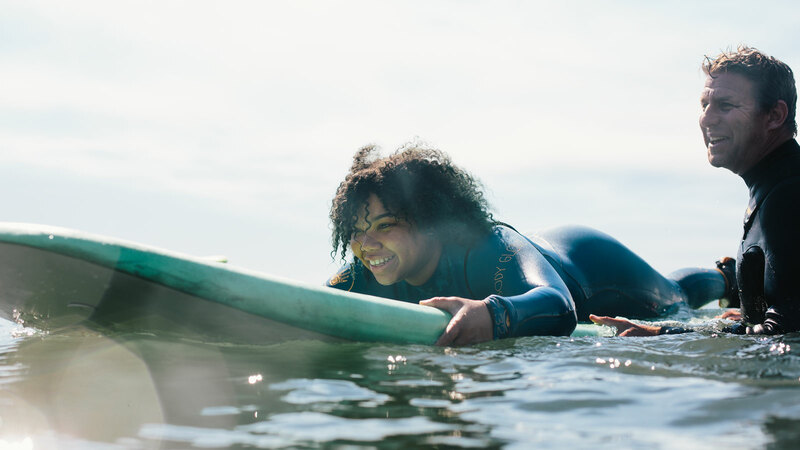 Nearby, on the beach in a bright blue wetsuit that matched the tips of her hair, 15-year-old Tyanna was excited for her second-ever day of surfing. Her friend Lillianna, 13, tried to find the right words to explain how it feels. “I didn’t know how to swim before this, but I really love being in the water. I like feeling like I can do whatever I want, be whatever I want, in the water,” she said.